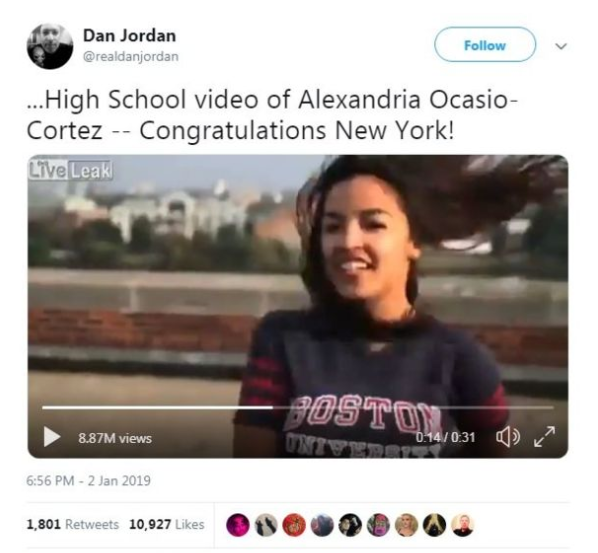 "Here is America's favourite commie know-it-all acting like the clueless nitwit she is," one right-wing Twitter account, @AnonymousQ1776, wrote as they shared the clip. The account, which appears to reference the bizarre QAnon conspiracy theory, has since been removed. "After Alexandria Ocasio-Cortez is forced out of office after one term she can go dance on a stage that has a pole," said another.